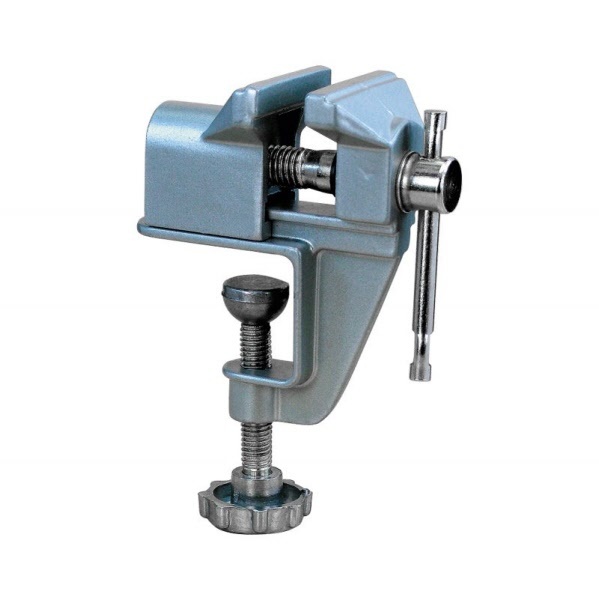 The Mini Vice is made from an aluminium alloy, combining strength with lightness, making it ideal for use with portable workbenches, the kitchen table or wherever a strong temporary fixing is required. 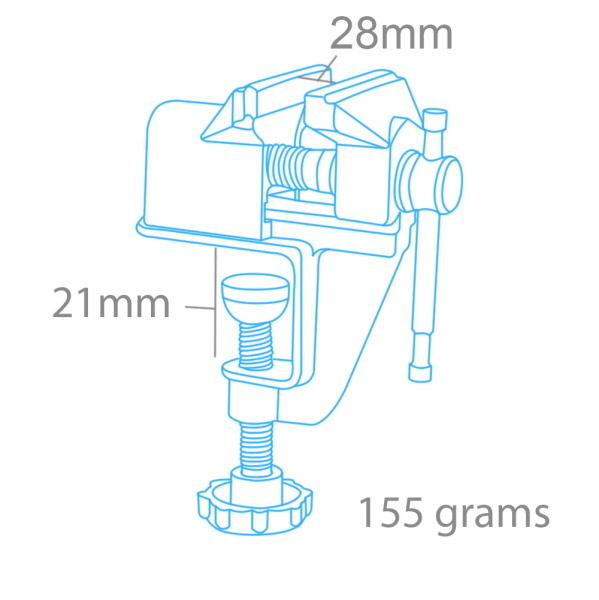 It can be attached to benches up to 20mm in thickness. As any Model maker or DIY enthusiast will know, it is essential to have a job held securely and in the right position, especially when working on precise items. By securing items whilst working on them you can ensure better accuracy and minimise mistakes.